May Day is approaching. 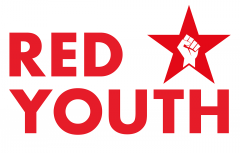 On Sunday 1 May Red Youth and CPGB-ML comrades will rally at Clerkenwell, in London. We will carry a banner of Stalin with his quote, from the opening chapter of his beautiful and simple work, Foundations of Leninism. Yet, for many in Britain, Stalin remains a controversial figure, apparently embodying all that is ‘wrong’ with communism. So why does our party insist on defending him and safeguarding his legacy? Because the reality is that no greater achievements have been made by the working class anywhere. The foundation of the socialist Soviet Union led to a real renaissance of human culture and civilisation, and the experience of the world’s first socialist state points the way forward for humanity. At the same time, it represents a complete ‘catastrophe’ for the 62 billionaires who under the present system have accumulated more wealth than the poorest half of the planet’s population combined. When socialism is established worldwide, these super-rich ‘masters of the universe’ will be deprived of their right to abolish our NHS, or to commit genocide in the Middle East in the pursuit of amassing their hoards. They will be forced – horror of horrors – to work! That is why failing to defend and promote the experience of building a workers’ state in the Soviet Union, under the leadership of the Communist Party of the Soviet Union (Bolshevik) and during the time of Joseph Stalin’s leadership, means abandoning totally the struggle for socialism. When we retreat on this most essential point, we ultimately find ourselves surrendering all along the line to capital. To desert the USSR, the CPSU(B) and Stalin means ultimately to embrace the path of social democracy (Labour party imperialism) and to replace the class struggle for socialism with begging for a few crumbs from our capitalist masters. This, lamentably, has been the fate of the once-proud CPGB, whose revolutionary tradition of the 1920s-50s has been ditched in favour of prettifying the ‘left’ wing of British imperialism. See, for example, the sorry spectacle of the CPB rump, as its members desert for Corbyn’s Labour or slump into inactivity and demoralisation. Stalin’s succinct and profound quote, as powerful today as when it was written, is an embodiment of the brilliant theoretical and tactical leadership that the Bolsheviks were able to give to the working class in their victorious struggle. That is why the aftershocks of the October revolution were not confined to Russia, but radiated outwards across the globe. Under Stalin’s leadership, the workers of the USSR showed us how we could use ‘socialism in one country’ to create a strong base – the epicentre of a world revolutionary movement that scored victory after victory against the predatory imperialist bourgeoisie. That is why the work of the Bolsheviks cannot, even now, be undone. In this short video, Comrade Dan, a member of Red Youth and of the CPGB-ML, presents just a few of the facts about Stalin’s life and his contribution to the Bolshevik cause – before, during and after the October revolution. These facts contrast starkly with the propaganda we are force-fed daily. In his own words: “Why bother discussing Stalin and the Soviet Union today? The case is closed, every news article adds a mandatory ‘dictator’ or ‘totalitarian’ as a prefix. Life in the Soviet Union is depicted – entirely falsely – as being “more terrifying than imperialist world wars, British concentration camps in South Africa, engineered famine in Bengal, the invasion, subordination, and plundering of over a quarter of the world. “More horrific than imperialist adventures in Iraq, former Yugoslavia, Afghanistan, Pakistan, in Iraq again, in Libya, Syria, and still in Gaza, still in the West Bank, still in Palestine. “And those are just the headlines within my lifetime: imperialism fighting the consequences of imperialism for the benefit of imperialism. “When the oppressed of the world throw off the shackles of imperialism, taking back their land, their resources, their industries, built with their toil and their lives; as they follow in the footsteps of Lenin, Stalin, and the Soviet Union to destroy the old order, based on the oppression of the working class majority by an ever-decreasing minority of capitalists and build a new society of mutual cooperation for the advancement of humankind … this is not a noble or just cause in the eyes of the bourgeoisie. “However, it is a moral and practical imperative for the global proletariat. “We have faced almost a century of all-out ideological war from the bourgeois camp and their petty-bourgeois agents. They are determined to neuter the revolutionary potential of the working class, to erase the achievements of the people struggling and working for the benefit of the majority, and to obfuscate the path to socialism. The contrast between the myth (Stalin the ‘bogeyman’) and the reality of Stalin as a vibrant, heroic and passionate champion of the interests of the working masses could not be more stark. We must learn from the wealth of Bolshevik theoretical and historical experience in order to successfully guide the struggle against the British imperialist bourgeoisie. That is why we must defend Stalin and the Soviet Union against incessant and entirely false attacks of our ruling class and their hired ‘intellectual’ servants – whether these apparently originate within or outside the working-class movement. Read the full text of Dan’s presentation here: redyouth.org/2016/02/23/what-does-stalin-mean-today-part-two/. And if you missed it, read or watch Comrade Corinne’s presentation too. Previous Previous post: What is ‘affordable’ housing? Next Next post: May Day 2016: March with us on Sunday 1 May!